I, like most people I know, like R. Kelly best when he’s being funny. On songs such as “Trapped in the Closet” or “The Same Girl,” the oft-troubled R&B veteran taps into the same vein of genius absurdity that keeps screenings of The Room full of spoon-throwing crowds. Kells, though, deserves credit for keeping a straight face while masterminding his sometimes baffling music. On Love Letter, his attentions turn serious, a switch he makes to general success. From the sepia-toned album art to the throwback arrangements, it’s clear the singer wants to align himself with the greats — Marvin Gaye, Sam Cooke, Michael Jackson. 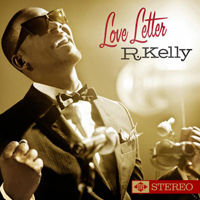 The duet “Love Is” is a latter-day Gaye and Terrell homage, while “Radio Message” offers Cooke-like twinkling pianos. Some of it comes closer to Sade (or, for that matter, Billy Joel): the come-hither wah-wahs of “No. 1 Hit” or title track’s weirdly Joanna Newsom-esque harp, a slice of cheese in an album that admittedly has its moments of lactose intolerance. But mostly, it’s Kelly doing what he does second-best — singing — and keeping the slow jams mom-friendly without entirely sacrificing his way with words. He’s got the right idea: the club needs more of the classics. Love Letter brings them.